Devastating tsunamis could be halted before hitting the Earth’s shoreline by firing deep-ocean sound waves at the oncoming mass of water, new research has proposed. AGWs are naturally occurring sounds waves that move through the deep ocean at the speed of sound and can travel thousands of meters below the surface. AGWs can measure tens or even hundreds of kilometers in length and it is thought that certain lifeforms such as plankton, that are unable to swim against a current, rely on the waves to aid their movement, enhancing their ability to find food. The energy released on the Earth’s surface by the earthquake and subsequent tsunami was estimated to be the equivalent of over 1,500 times that of the Hiroshima atomic bomb. 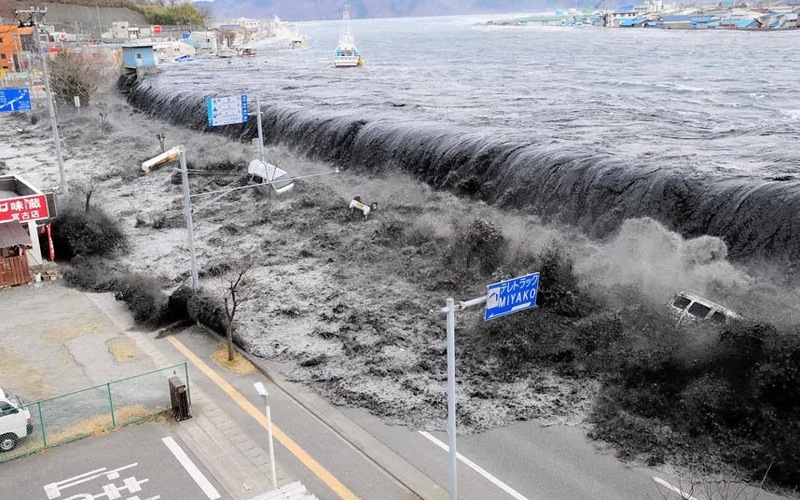 It may also be possible to utilise the AGWs that are naturally generated in the ocean when a violent geological event, such as an earthquake, occurs – essentially using nature’s natural processes against itself.